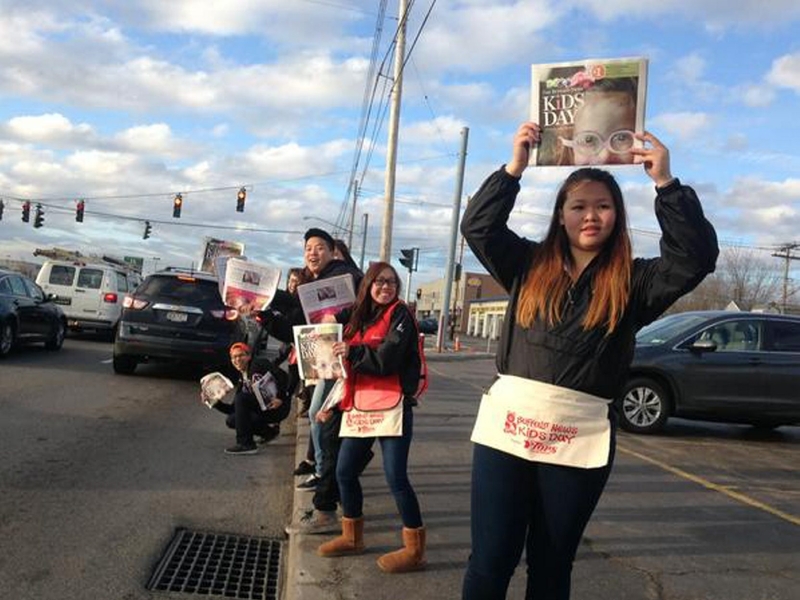 To coax as many passing motorists as possible during their early morning commute to buy Kids Day editions of The Buffalo News for a buck. The proceeds from the event will benefit Women and Children’s Hospital of Buffalo, the Robert Warner MD Center for Children with Special Needs, Children’s Charities of Western New York and Cradle Beach. Volunteers typically come from all walks of life and are of all ages. Some are employees of various local companies who annually work a particular intersection as a group. Many report that contributors tend to be generous, sometimes contributing more than the $1 newsstand price of the day’s special edition. Since 1983, contributions to Kids Day have totaled more than $4.2 million.